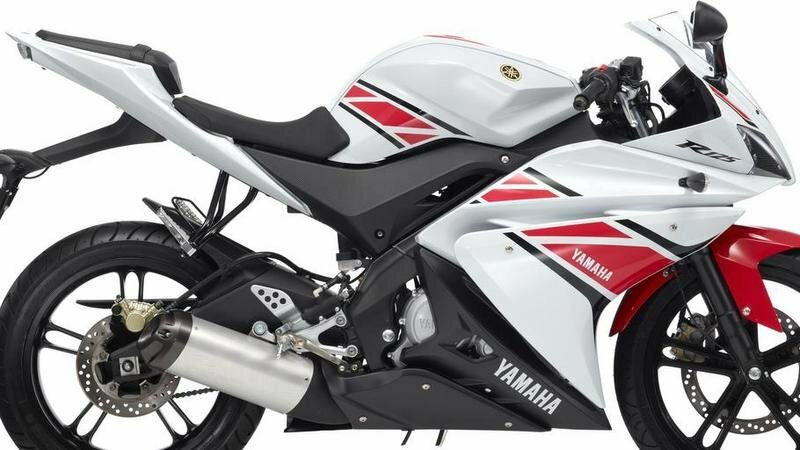 Just look at the Yamaha YZF-R125 and tell us that you’re not falling in love with it. Now, dress it up in exclusive WGP 50th Anniversary colors and you have a machine that’s certainly worth your time and money. First, the full-sized race-developed Deltabox frame of the bike brings a superior and comfortable riding position. 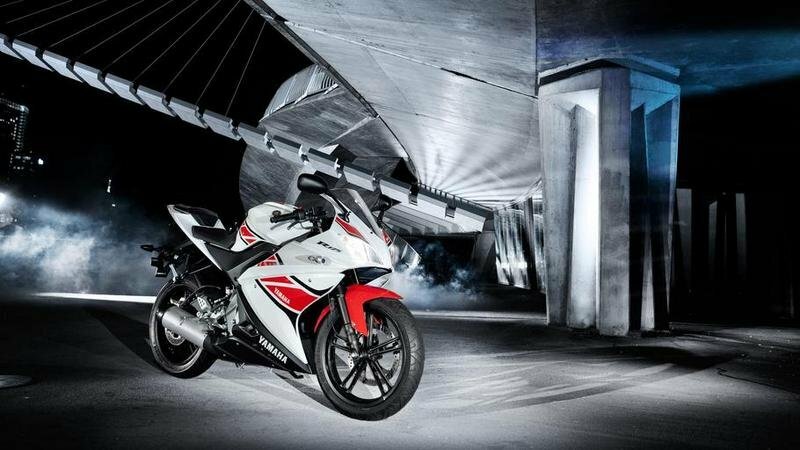 The uncompromisingly-styled R-series body frame looks fast even when the bike’s standing still. 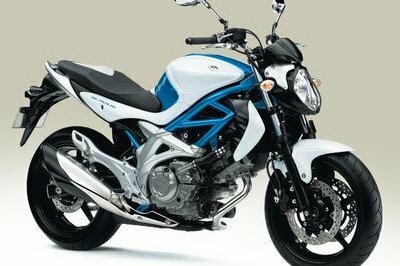 In addition to that, the bike also features dynamic acceleration and a thrilling ride, thanks to a 125cc sporty liquid-cooled engine that has been complemented with a free-revving short-stroke cylinder and an efficient 4-valve head. When you want the best, the Yamaha YZF-R125 is as good a choice as you can make. It not only offers the best riding experience, but it also comes dressed to look the part of a road warrior sports bike. 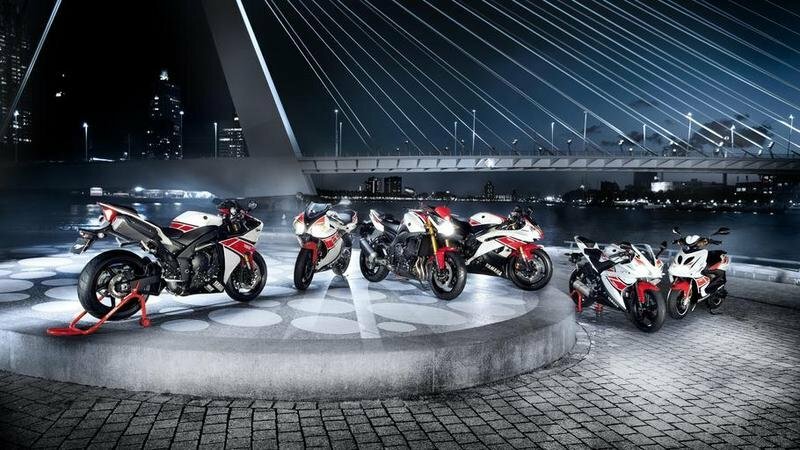 Find out more about the Yamaha YZF-R125 WGP 50th Anniversary after the jump. The latest YZF-R125 WGP 50th Anniversary model has re-written the rule book about the way a 125 should look and perform. The full-sized race-developed Deltabox frame gives a commanding and comfortable riding position. 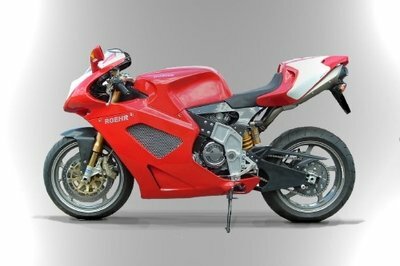 And the aggressively-styled R-series bodywork looks fast even when the bike’s standing still! For lively acceleration and an exciting ride the sporty liquid-cooled engine is equipped with a free-revving short-stroke cylinder and an efficient 4-valve head - while the large diameter front and rear discs give you assured stopping power. 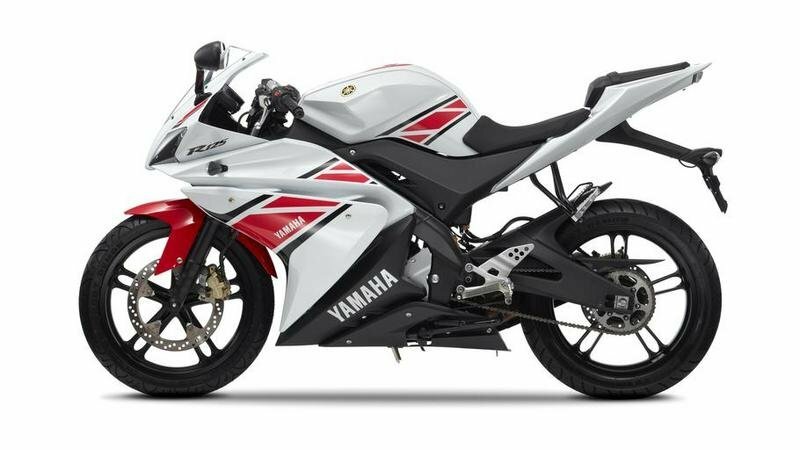 Now available in exclusive WGP 50th Anniversary colours, the latest limited edition YZF-R125 is going fast. Don’t miss out! At Yamaha we wanted to make a new kind of high-specification 125 right from the start. And while the opposition may have tried to keep pace with this radical sports bike, serious riders know that there is still no substitute for the YZF-R125. Take a closer look and you’ll see the quality in its aerodynamic race-developed bodywork, full-sized Deltabox frame, aluminium swinging arm, lightweight wheels, large diameter discs, liquid-cooled engine, MotoGP-style muffler…and much, much more. When you demand the best, the Yamaha YZF-R125 is the only choice. 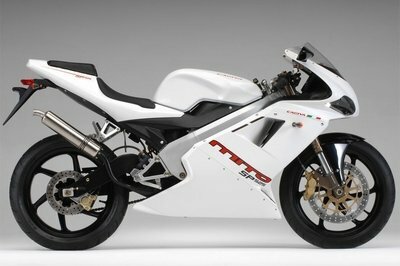 And in the limited edition WGP 50th Anniversary colours, this bike is in a class of its own. 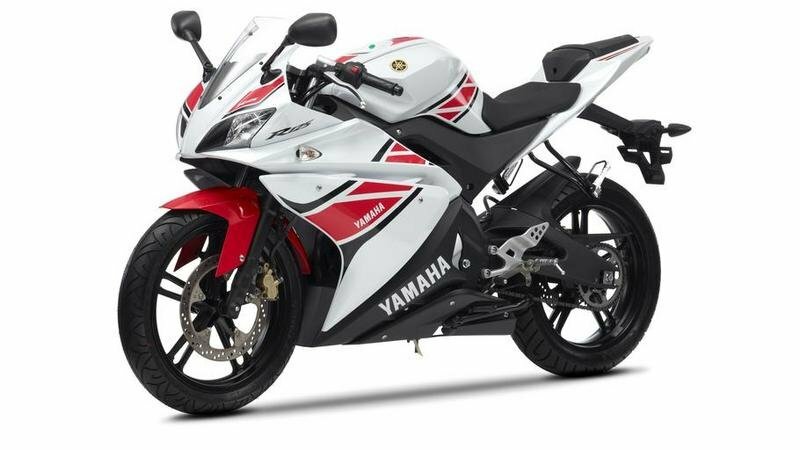 The YZF-R125 has been developed from Yamaha’s race-winning R-series bikes, and features class-leading engine and chassis technology. 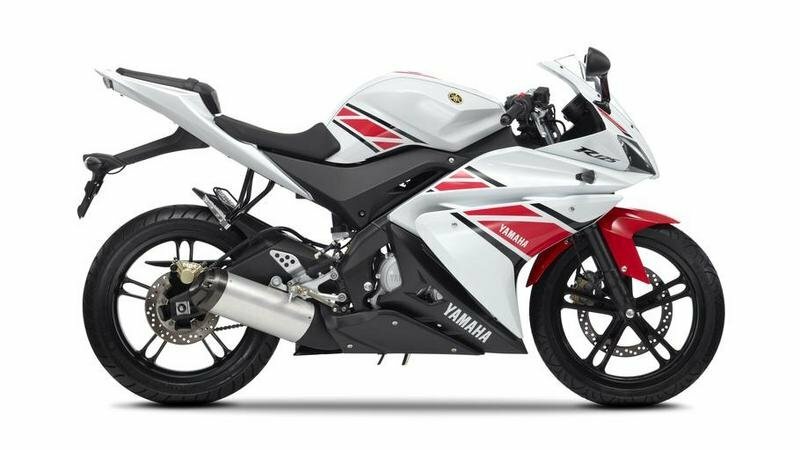 With its full-sized Deltabox frame, liquid-cooled 4-valve engine featuring a MotoGP-type mid-ship muffler, and aerodynamic bodywork finished in the new WGP 50th Anniversary colours, the YZF-R125 is the way to go! 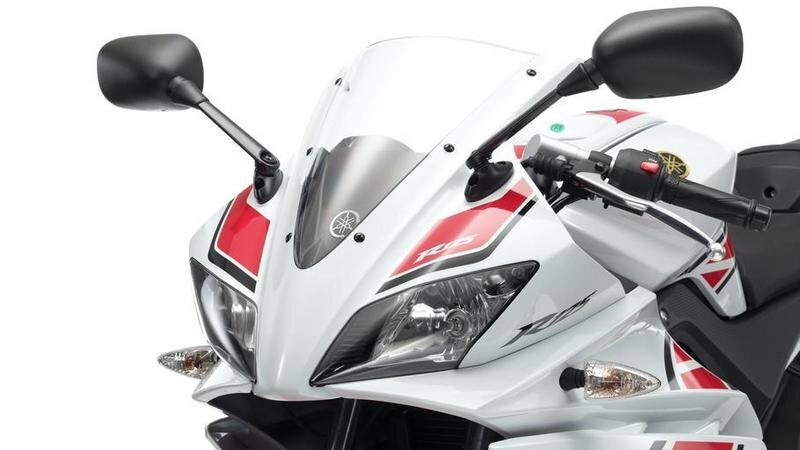 With its twin fox-eye headlights and sporty aerodynamic lines, the aggressively-styled YZF-R125 has the street presence of a much larger-capacity motorcycle. And just like our YZF-R1 and YZF-R6 supersport bikes, the class-leading YZF-R125 attracts attention wherever you go. Unlike some other bikes in the 125 class, the YZF-R125 is equipped with a full-sized Deltabox chassis which gives a more comfortable riding position and delivers a real big-bike feel. 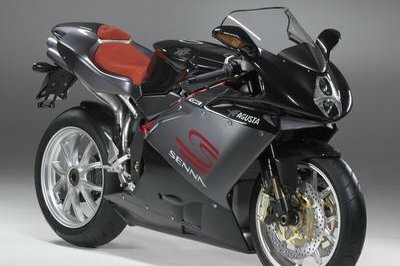 Combined with the radical supersport bodywork, the great-handling race-bred chassis puts this bike in a class of its own. 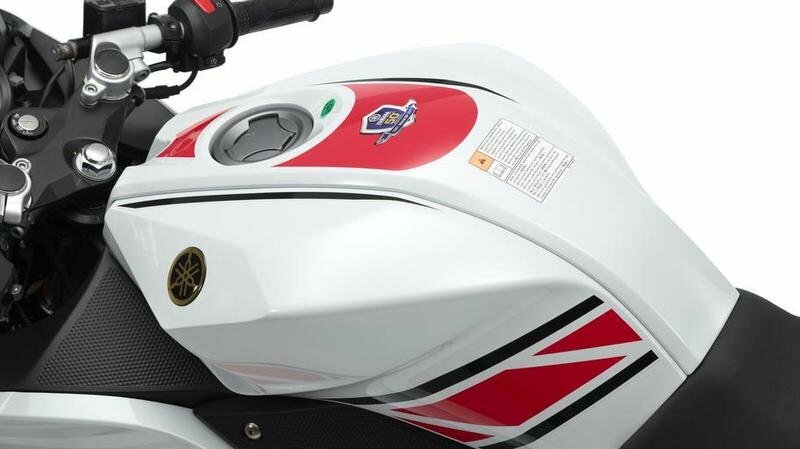 The liquid-cooled 4-stroke 125cc engine delivers a wide range of strong performance. Its short-stroke layout makes for a free-revving character, while the fuel injection system and 4-valve cylinder head give lively acceleration. 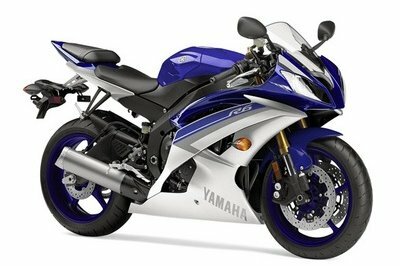 And with a 6-speed gearbox, the YZF-R125 is a great performer around town and on the open road. As well as being equipped with a full-sized Deltabox frame, the YZF-R125 also benefits from a strong cast aluminium swinging arm which operates a link-type suspension system. This advanced lightweight rear suspension system makes for a comfortable ride and delivers responsive handling performance. The YZF-R125 has been built to a high specification, and the braking systems are amongst the best in the class. 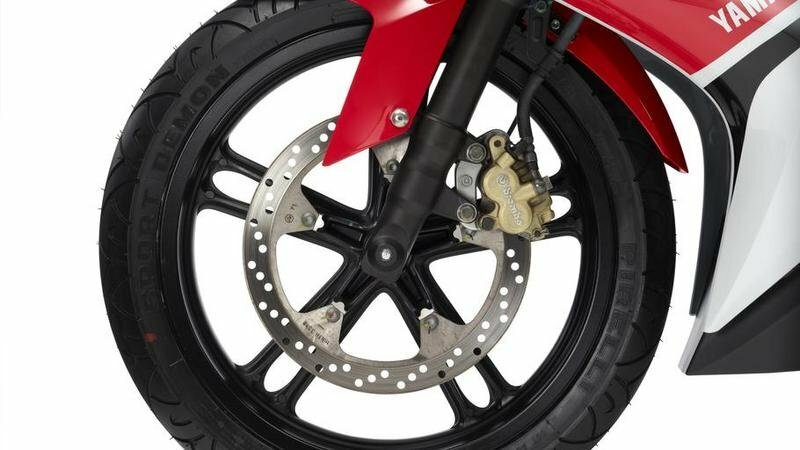 The large-diameter 292mm front disc is equipped with a compact twin-pot caliper for smooth, controlled braking – and the rear system features a 230mm rear disc with a single-pot caliper to give assured stopping power. metropolismotorcycles ---- "The latest YZF-R125 WGP 50th Anniversary model has re-written the rule book about the way a 125 should look and perform"
westlondonscooters ---- "When you demand the best, the Yamaha YZF-R125 is the only choice. And in the limited edition WGP 50th Anniversary colours, this bike is in a class of its own"